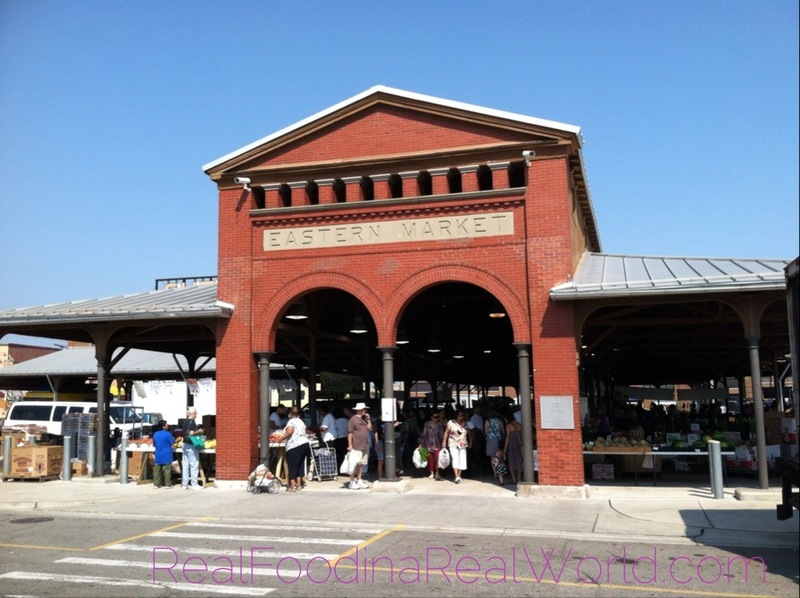 Finally made it to Eastern Market last Tuesday for the Tuesday market. Although it is much smaller (just shed 2) than the Saturday Market, it was a wonderful experience. There was some entertainment, food trucks, and still a good amount of vendors. Because Tuesday isn’t a usual shopping day for me, I didn’t “need” much. I still managed to do a little damage. I picked up some Champurrado mix from Cafe Con Leche (the super sweet vendor made me a sample without dairy so I could try it, its a Mexican cornmeal drink) some black cherry tomatoes from the Grown in Detroit cooperative, and some kale chips from Living Zen Organics. I found a neat hand cream called GingeAide for my hard working hubby and his cracked hands. 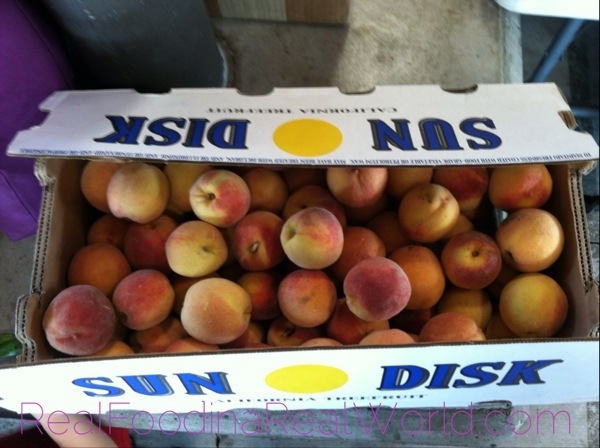 Picked up a huge crate of peaches from Blake Farms too! After Shed 2 we walked over to Rocky’s and picked up some pepitas and sunflower seeds. I love everything about Rocky’s. The prices are good, they have an amazing selection, and their staff is wonderful. Everybody was so gracious and helpful. 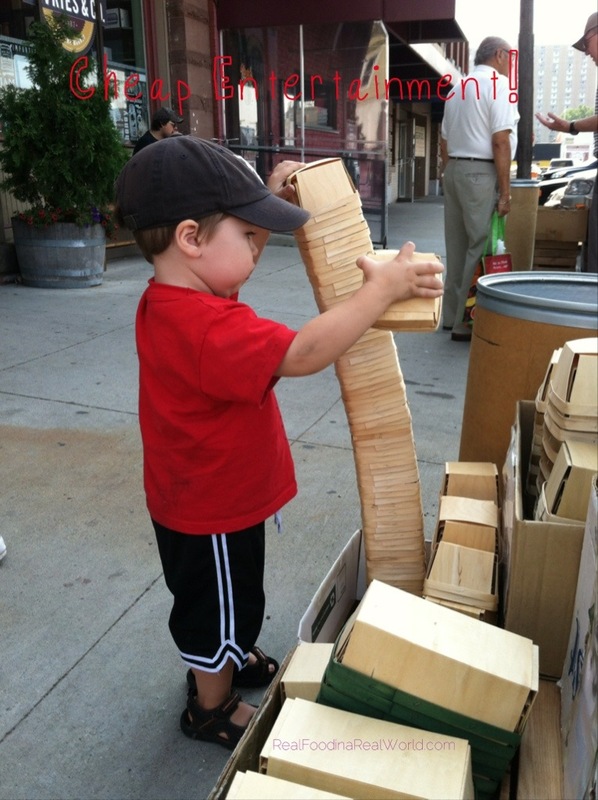 Local toddler enjoyed himself there and was entertaining everybody with his “choo choo” hand basket. We tried to eat lunch at Russel Street Deli because I’ve seen Chow Down Detroit (seriously, click the link. Detroit foodie extraordinaire!) wax philosophic about it, but it was crazy busy. Waiting for a table wasn’t going to happen with a toddler so we went to Zeff’s. 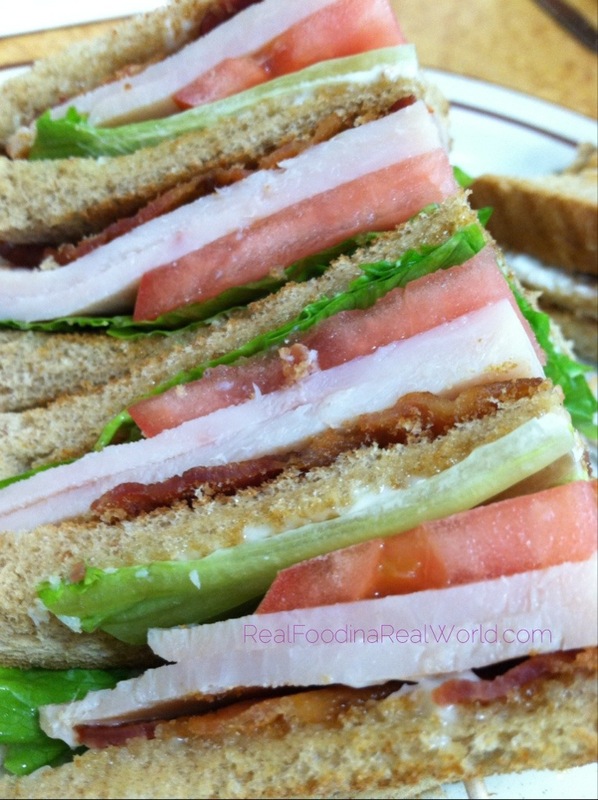 I had some snacks on me so the kiddo and I just split a club sandwich. It was really good! After lunch we walked over to Hirts (I can’t remember the name change) and did some window shopping. Such a great shop, lots to explore. Walked over to Riopelle and window shopped at the 3 dogs 1 cat Urban Pet Shoppe. Coolest pet store! I found so many things I wanted to get for local German Shepherd. We also took a walk through the meat locker at Embassy. 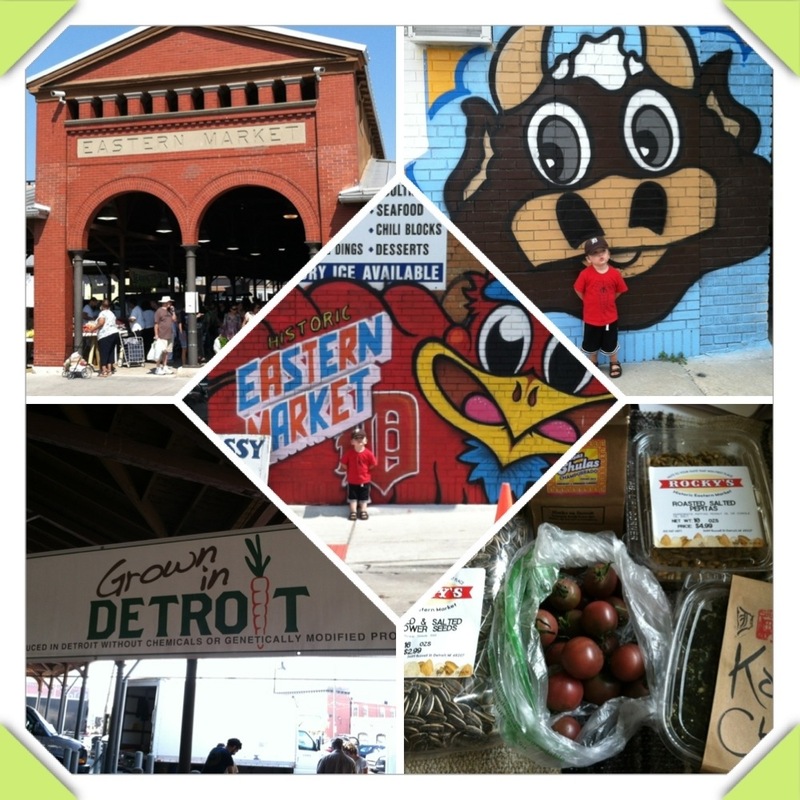 It was a beautiful day and such a great day to explore all that the market has to offer. Because it was less busy it was very toddler friendly, I didn’t even bring a stroller with me. There was a musician playing that made for some quality toddler dancing and the National Kidney Foundation was there with some children’s activities as well. I highly recommend you check it out! 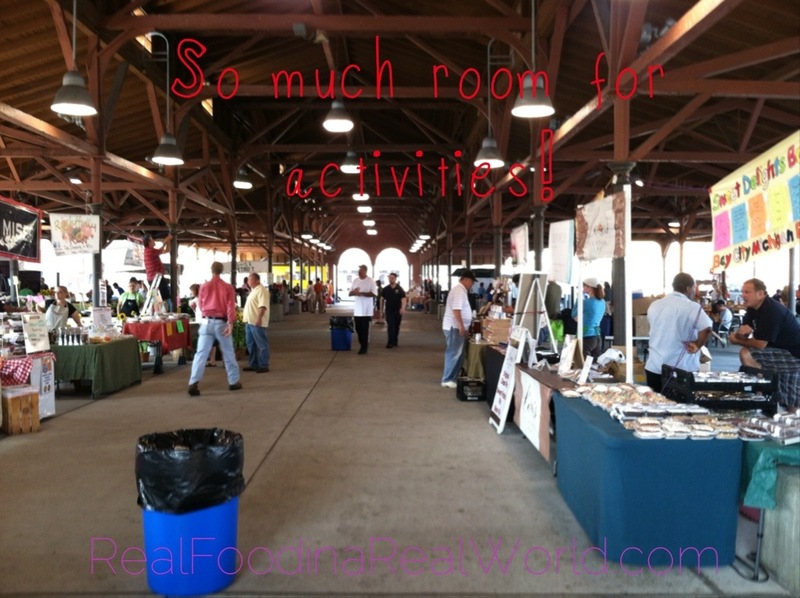 Especially if you are hesitant to go to the Saturday market because of the crowds. So fun! I really want to try to get there on a Saturday soon. So, “what in the world did you do with all those peaches,” she asked. Why they made 23 beautiful pints canned in light syrup!